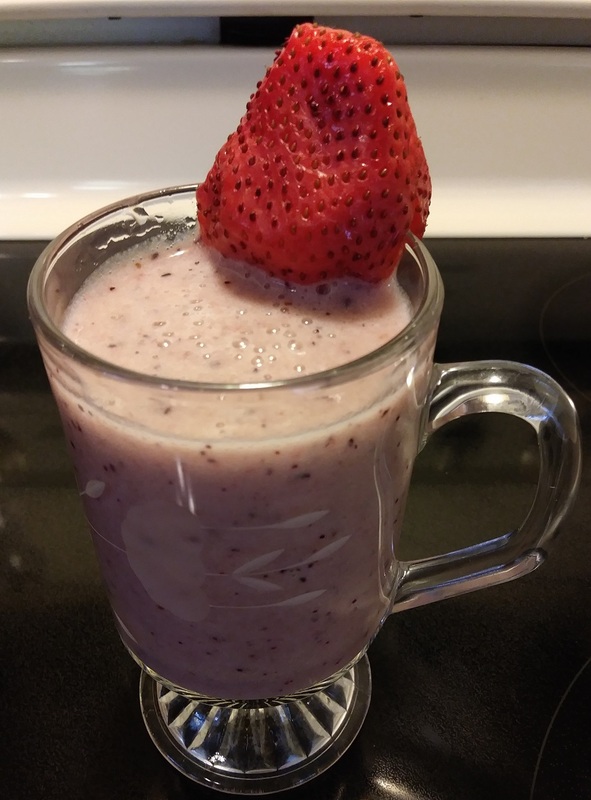 This healthy banana strawberry smoothie is just one of the many you can enjoy for breakfast, lunch or a snack during the day. This is a great way to start your day if you're looking for an easy and quick breakfast. 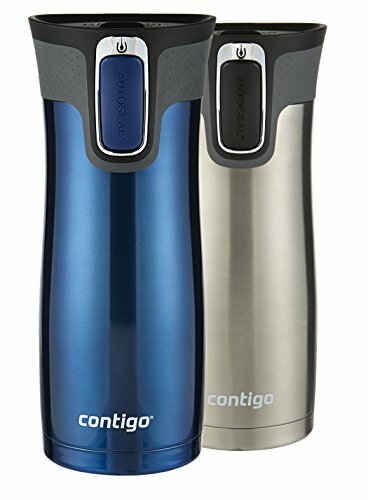 And, if you happen to be in a hurry just pour it into a travel mug and take it with you. 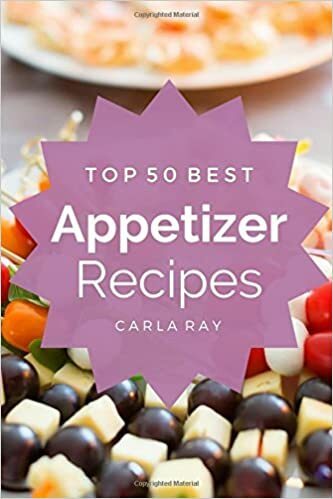 If you're looking for an easy way to improve your health and nutrition without giving up all the flavorers you enjoy. Consider trying some easy fruit and vegetable smoothies. You can achieve more energy, better sleep, and even weight loss by making juices and smoothies a part of your everyday life. 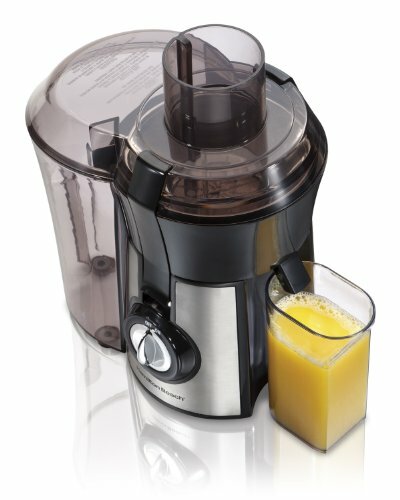 What is the difference between juicing and smoothies? Let's start with Juicing: Juicing extracts the juice or liquid from the fruits and vegetables, thus leaving the peels and pulp behind. 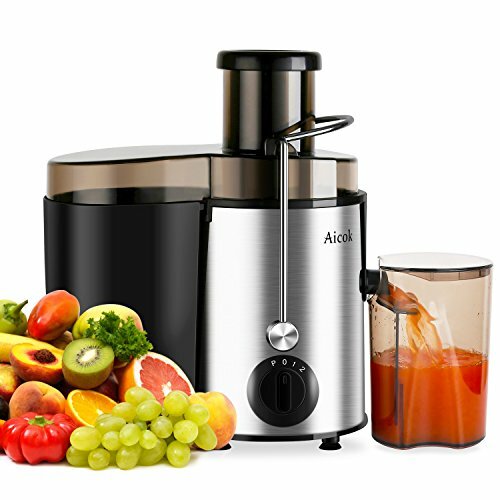 There are many types of juicers or extractors on the market today. Full disclosure here, I don't own a juicer or extractor so I can't tell you how delicious the juices are. 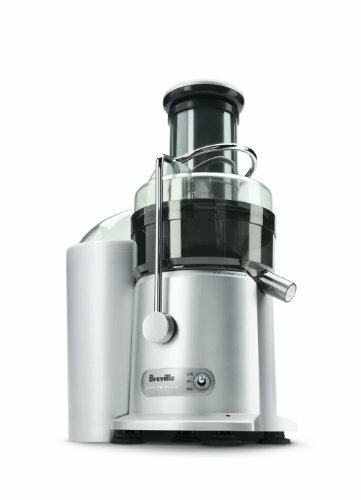 If you're looking for a juicer extractor here are some popular choices. 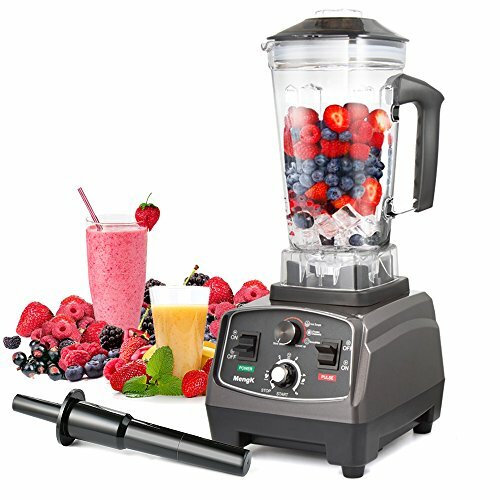 Smoothies: You can easily make delicious smoothies using a high-speed blender. So, when you make a smoothie you're drinking all of the pulp and fiber contained in the fruit or vegetable. Juicing and smoothies are both healthy and good for you. But. if you want more fiber in your diet then smoothies are certainly the better choice. 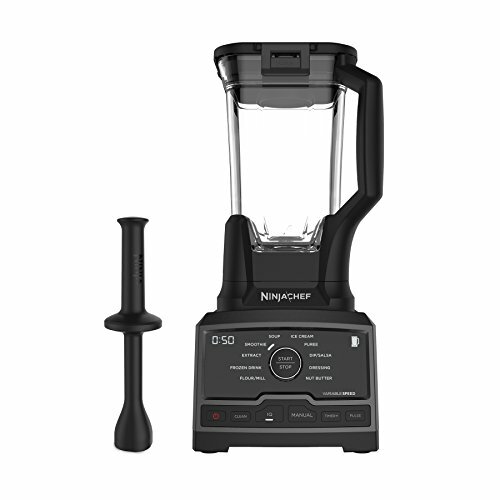 For healthy and delicious smoothies here are some high-speed blender choices. Now, I'm not a health expert or a nutritionist by any means. This information is easily found with a little research. 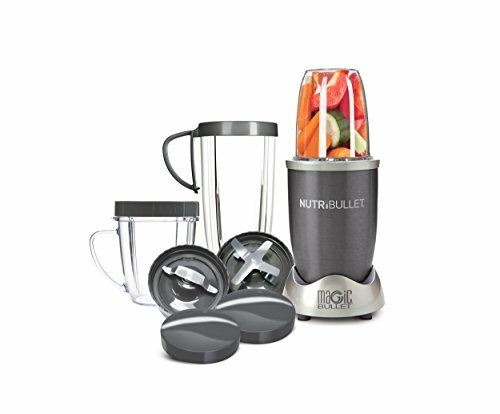 We own and use the Nutri Bullet High-Speed Blender to make so many different types of delicious and healthy Smoothies. 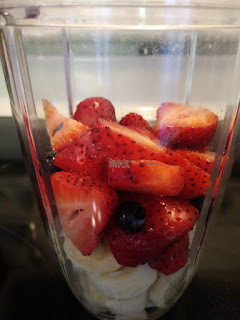 Smoothies are always made with a base. It might be water, milk, or yogurt. This is one that I made for Tyler a couple of weeks ago as he was home sick from school and spending the day with me. Jamie asked to make sure that he was drinking plenty of liquids. So I asked him if he wanted a fruit smoothie. I cut up one banana, five strawberries, and as a bonus, I added about 10 blueberries. For the base, I used Almond Milk. After adding the fruit I poured the almond milk to the max line on the cup. Then I added the blending attachment set it into the Nutri Bullet and turned it on for about 15 seconds or more. Tyler drank to the whole smoothie and then ate some more strawberries just for good measure. I just love trying new recipes and, I love pizza so, I thought, why not try a fruit pizza. 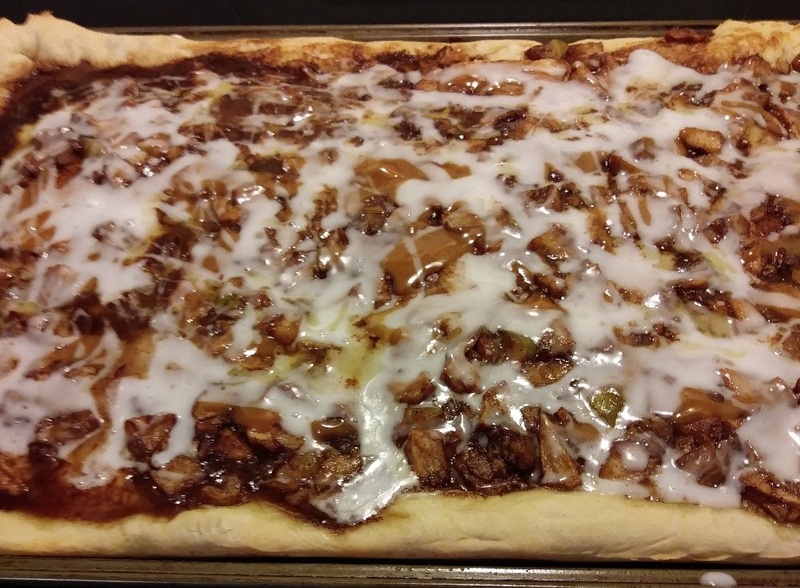 I know that fruit pizza is nothing new but, this is the first time I've ever made it. 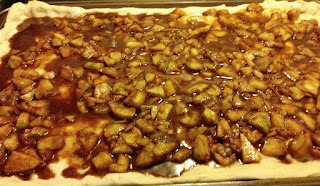 I had a couple of fresh Granny Smithe apples in the refrigerator so I decided to make this caramel apple pizza. And, what a wonderful sweet treat it is. This is perfect hot out of the oven with a scoop of vanilla ice cream. Oh! doesn't that sound good? First I made my standard pizza dough. While the dough was rising I peeled and cubed two Ganny Smith apples. The recipe and measurements are all below. I melted the butter in a medium saucepan. 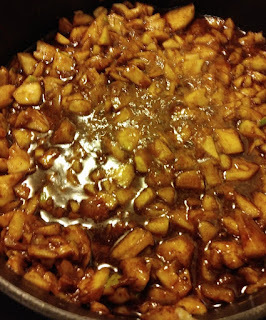 Then added the apples and all other ingredients into the pan. Stir together until it comes to a slight boil then you can remove it from the heat. Next, I greased an 11-inch x 17-inch pizza pan. 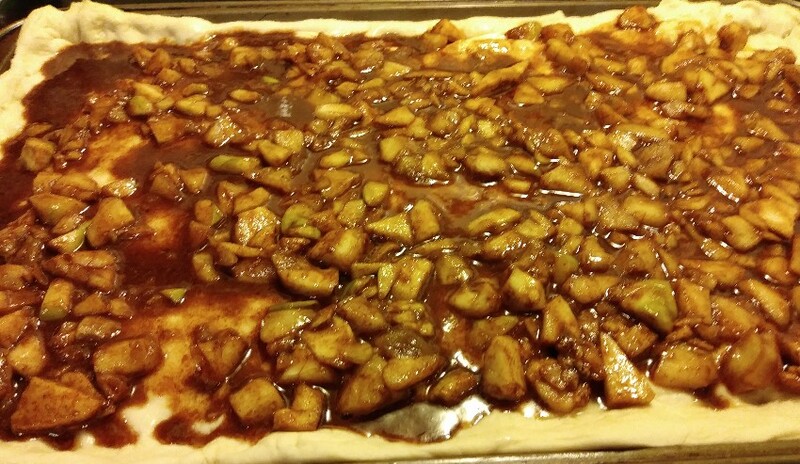 Spread out the dough and brushed it with 1 tablespoon of melted butter before pouring the apple mixture. I baked this at 450 degrees on the center rack of the oven for 15 minutes. I melted Kraft Caramel Bits and drizzled it over the top. Then mixed my white icing made with powdered sugar and milk and drizzled it over the caramel. Add the warm water into a mixing bowl then add the yeast. When the mixture begins to bubble add the oil. Now, add the flour and begin mixing until you have a nice firm ball of dough. I always use my KitchenAid Stand mixer for this part. 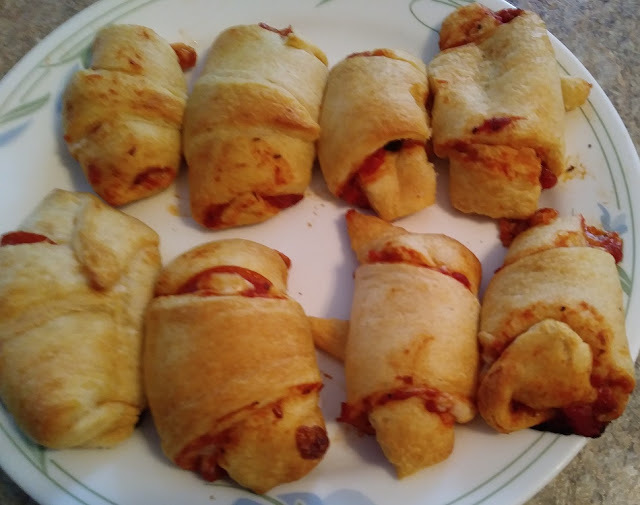 Cover and set the dough aside to let it rise. About one hour until it doubles in size. Melt the butter in a medium saucepan, add the apples and the remaining ingredients. Stir over medium heat until it boils then remove it from the heat. In a microwave-safe bowl melt for 30 seconds at a time. Stirring in between, I did this three time for a total of 90 seconds. This gave me a nice smooth caramel to drizzle. I whisked this in a small bowl until it was nice and creamy. Then drizzled it over the caramel. 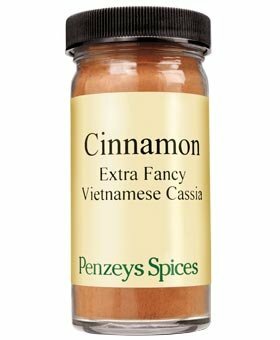 This Penzeys Vietnamese Cinnamon is the best we've ever used. It is extremely aromatic and so flavorful and sweet. 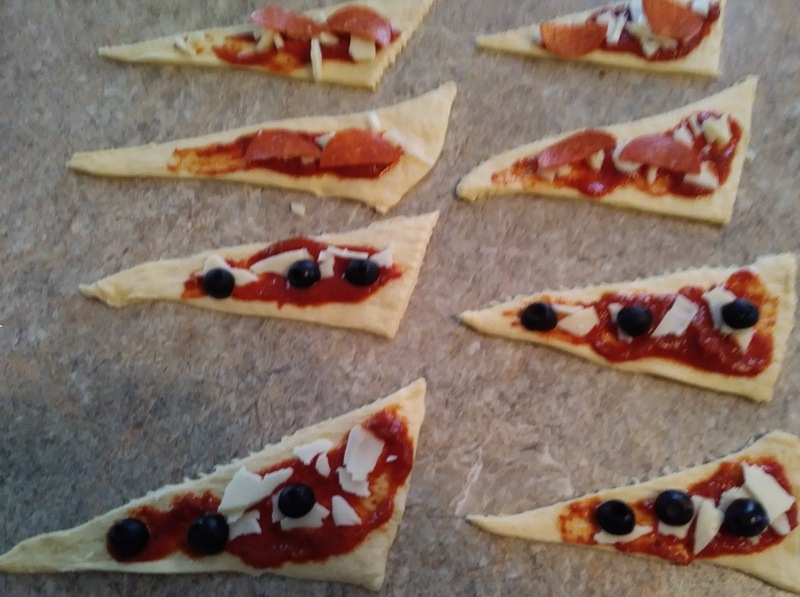 You only need to use about 2/3 of what any recipe calls for. Mix this with some white sugar and enjoy it on your toast, hot cereal, or waffles. For amazing pancakes add some of this to the batter. 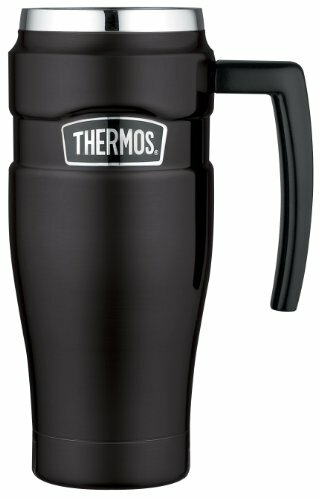 This also is a perfect addition to your coffee or hot chocolate. Here is another favorite we like to use when baking. 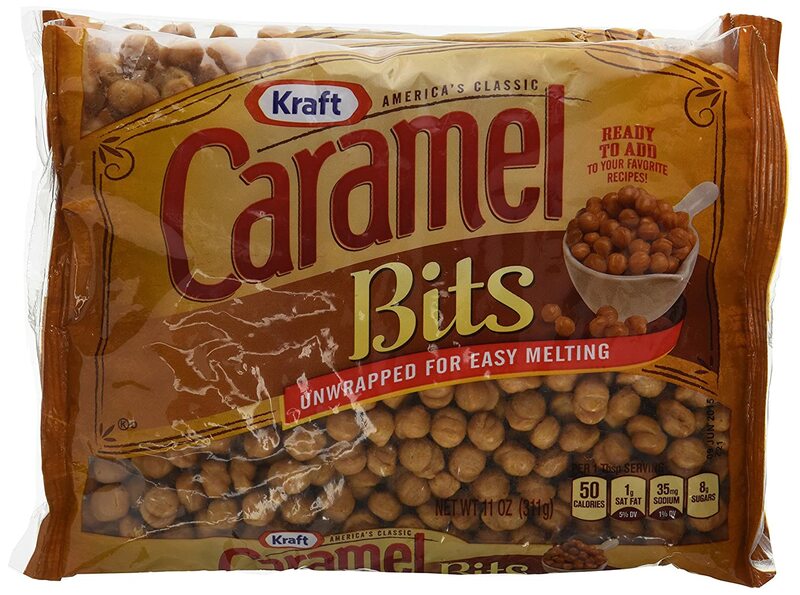 These Kraft Caramel Bits really come in handy during the Holidays. No need to unwrap your caramels anymore these are perfect for baking and ready to use right out of the bag. And, let's not forget about one of my favorites. 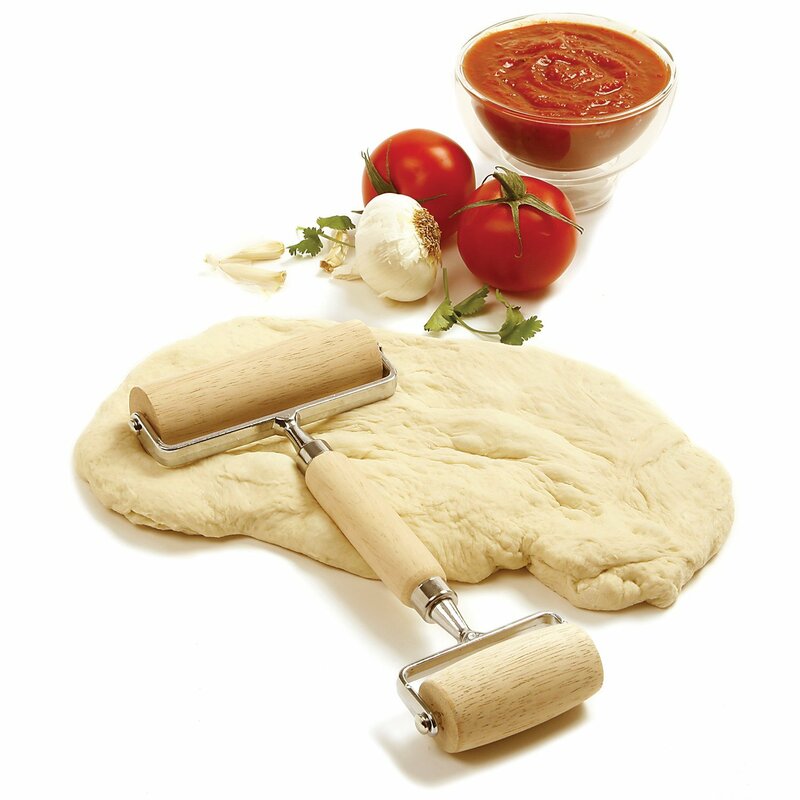 The Norpro Pastry and Dough Roller. 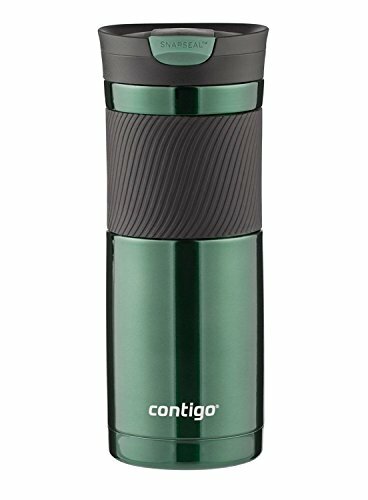 This little kitchen gadget works wonders with pastry and pizza dough. I've had this little tool for years and, it makes rolling out the dough so easy. Especially pizza dough. The small end is contoured which really helps get to dough right to the edge of the pan.